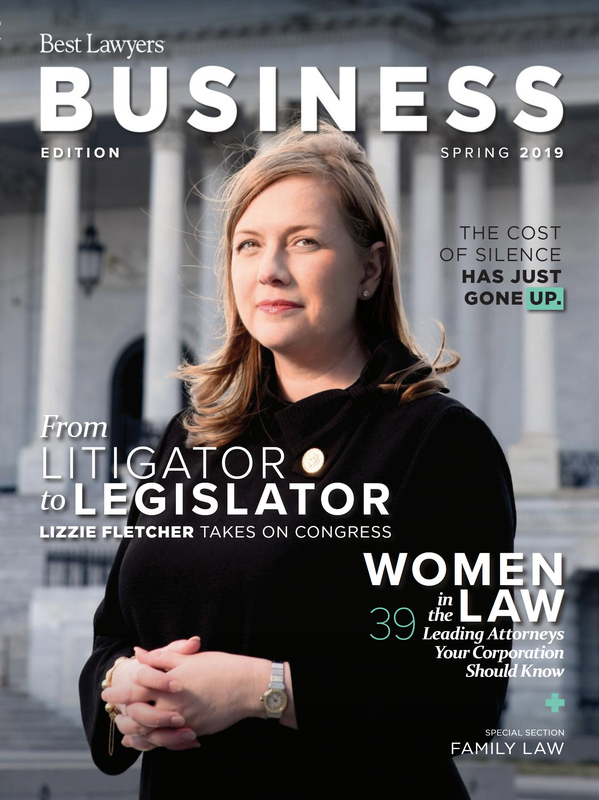 HOUSTON – Former AZA partner Lizzie Fletcher, now a U.S. Congresswoman from Texas’ 7th District, was featured on the cover of the Spring 2019 edition of Best Lawyers’ Business Edition in a story about her path from litigator to legislator. 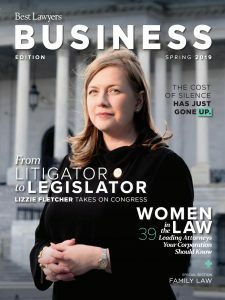 In the article “In-House Counsel,” Ms. Fletcher discussed her career move from Big Law to litigation boutique Ahmad, Zavitsanos, Anaipakos, Alavi & Mensing, or AZA, where she became the first woman to make partner. Ms. Fletcher said she ran for office because she felt the 2016 election results did not represent her community. At the time she thought: “I represent people for a living. How hard can politics be?” In fact, she learned it is very different to go from representing one person or entity to representing 700,000 people. In one congressional hearing, she had the urge to object as if she were back in the courtroom. But that wasn’t an option. Still, she’s found that the listening skills she developed as a lawyer have served her well so far in politics. 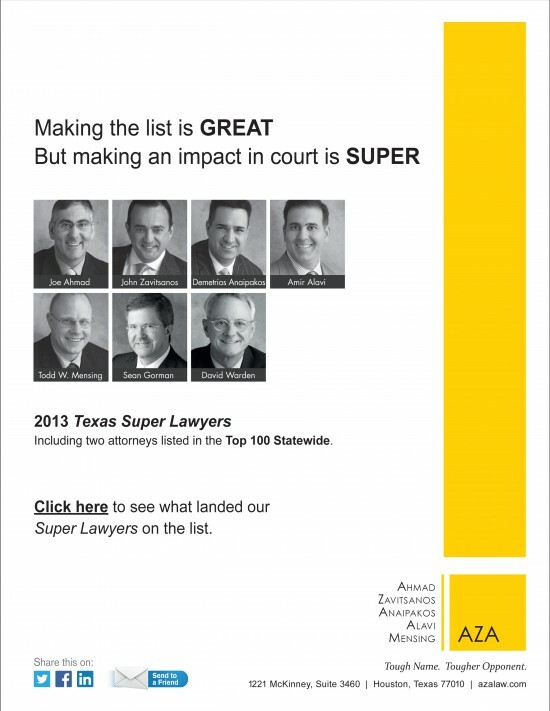 AZA founding partner John Zavitsanos said the firm is supremely proud of Ms. Fletcher and how hard she is working in Congress. “It’s no surprise that she would appeal to people from both parties both in the election and in Congress. She is thoughtful, measured and thorough. She’s exactly what we need in Washington,” he said.